Airlift performance air struts & V2 digital management. Engine and transmission is perfect. Nothing wrong with the engine or trans. Trans is 2 years old. Replaced by Mini of kennesaw. Have paperwork. The car has a wooden pbr can as a shift knob. I took out the e break and shift boots to replace but haven't got around to doing so. Just redid the management set up. Carpet. Only thing that's wrong with the car is that the driver window regulator is out. Also needs a battery. Maybe, not sure just talk to me and we will see. Driver side door cable is loose or needs replacing and as mentioned shift boots. Other than that it's fine. Car runs and drives great. Bags work great. 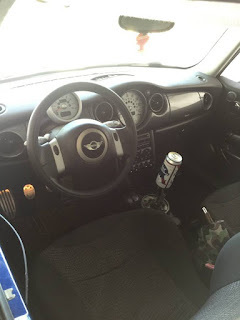 "Only thing that's wrong with the car is that the driver window regulator is out." You're sure that's the only thing "wrong?" Sorry I bombed the site earlier. I guess this Scheisse mini was bad mojo. No worries Sean. 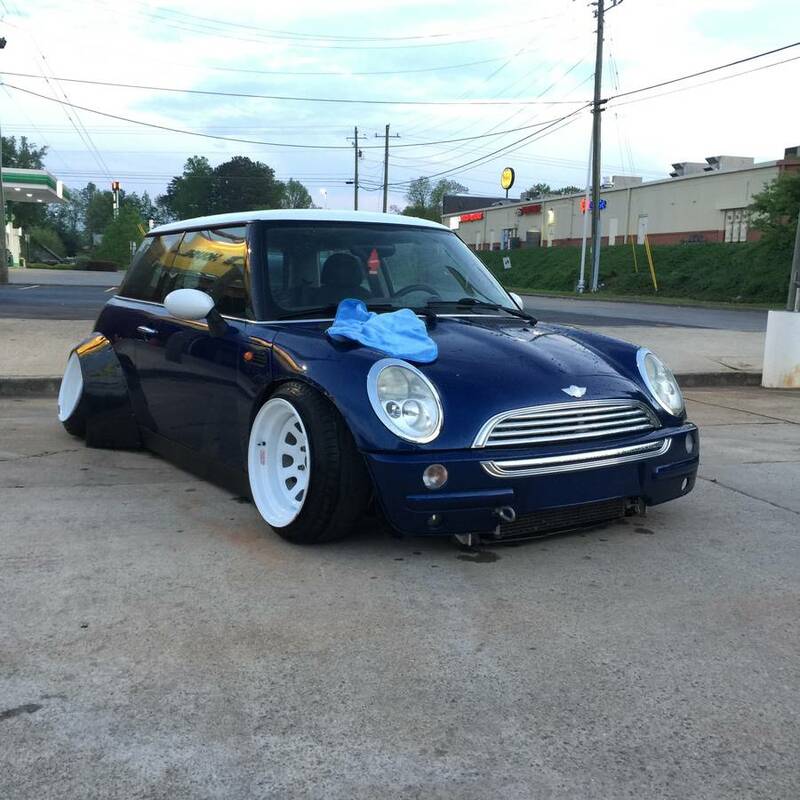 This Mini should be put out of its misery. I will however use the opportunity to reflect on how flippin' cheap the R53 Cooper S can be found now. $3k - $5k all day long. I heard from a friend that the Chrysler collaboration on the Prince engine in these was actually very fortuitous, because they were out of time and budget to optimize everything, they overbuilt the crap out of it. Similar to the original SRT4 engine. Super stout and understressed at stock power levels. 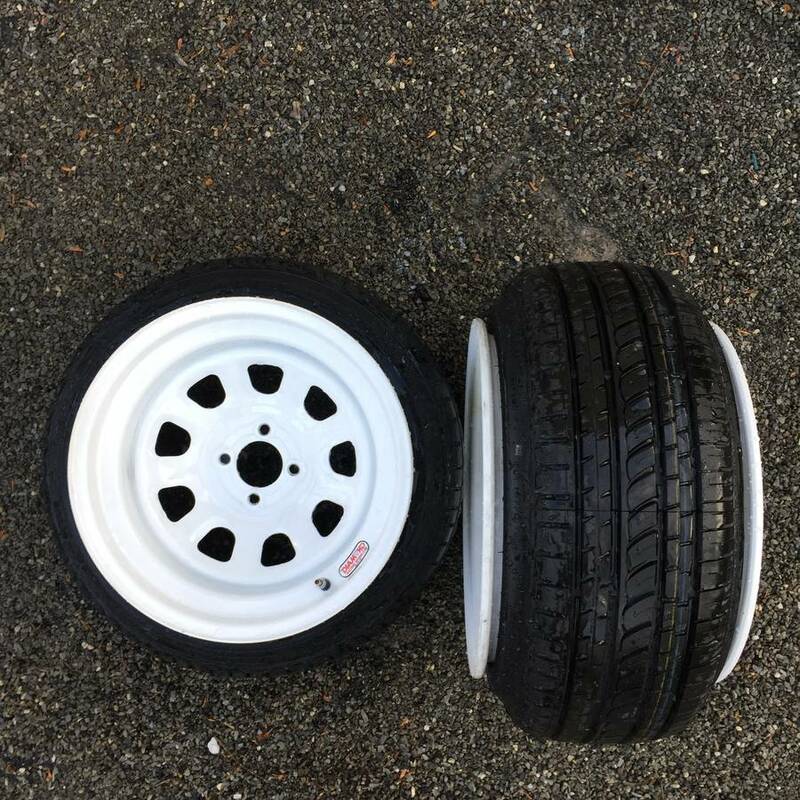 It makes me think about ditching my NA Miata trackday car for an R53 CS plus a few bucks for a smaller supercharger pulley and decent tires. I have been leisurely shopping for an inexpensive Cooper S. There are many deals out there. I just can't get past the interior. The center speedo and gauges are so mickey mouse. I guess an option for me would be to rip it all out and just do a custom Stack or other custom read-out. I have enjoyed an R53 for the last 10 years and can support that they are inexpensive to own. Really no issues mechanically and surprising (to me) that with all of the electronic aspects, there really hasn't been any electrical gremlins either. Has been an enjoyable car and I haven't identified anything that I want to replace it for. Regarding that TT posted in Sean Scott's reply above: why wouldn't someone with an after-market turbo boost gauge not bother setting the current date in the IC? Just curious. @Sean Scott: IIRC, if you ordered these 1st gen cars with the factory nav system, it occupied the center pie plate of the speedo you hate. they then moved the analog speedo to sit adjacent to the tach. not sure if you would be happier with that sort of Mickey Mouse silhouette, tho. What’s the deal with the decambered suspension and the wide wheels with skinny tires? Is it a furry thing? 3 shots soaped up in a carwash? Lead shot with a detail rag on the hood? Most of the rest from far away, or IN THE DARK? Makes me want to run away from this best, screaming for my life (or wallet), with my kidneys still inside my body.